Happy National Cream Puff Day! There’s no need to feel let down after all the holiday celebrations when today is National Cream Puff Day! Cream puffs have been around in various forms almost forever and their exact origin is unclear. Most people credit French chefs for the flaky, filled pastries, although Italy and Germany also had their own versions centuries ago. The hollow puffs are usually filled with pastry cream, custard or ice cream, but they are equally delicious with savory fillings. Small puffs filled with chicken or shrimp salad are beautiful and tasty for an appetizer buffet. 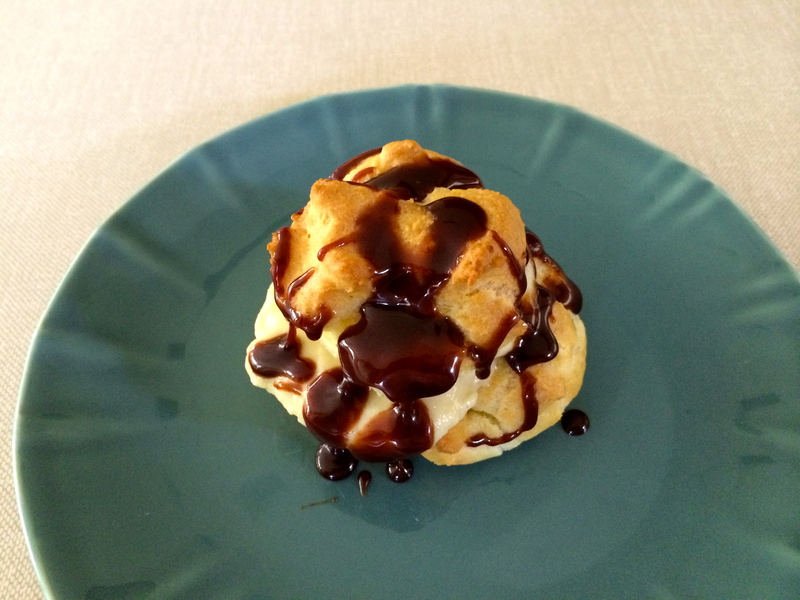 I shared an easy cream puff recipe last year, which I usually fill with my mom’s vanilla custard. Robert Rothschild Farms Chocolate Caramel & Sea Salt Sauce takes them to Cloud 9 level. If your New Year’s resolutions included taking off a few pounds, resolve to start on January 3, and enjoy a cream puff today!